We went up to the Napa area overnight — bit of a busman’s holiday for me in terms of driving up there, since that’s where my job is — and visited several birding areas. Over thirty species identified, at least three of them being ones I’ve never seen before, and there were two more that I’ve gotten photos of for the first time. Pictures to come. Yesterday there was a remarkable set of birds at one place I went. 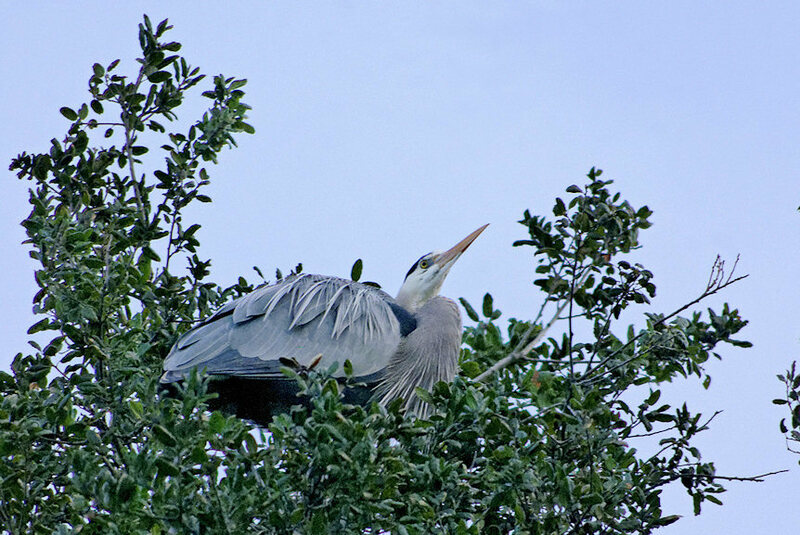 There was an oak tree with at least six Great Blue Heron nests in it. 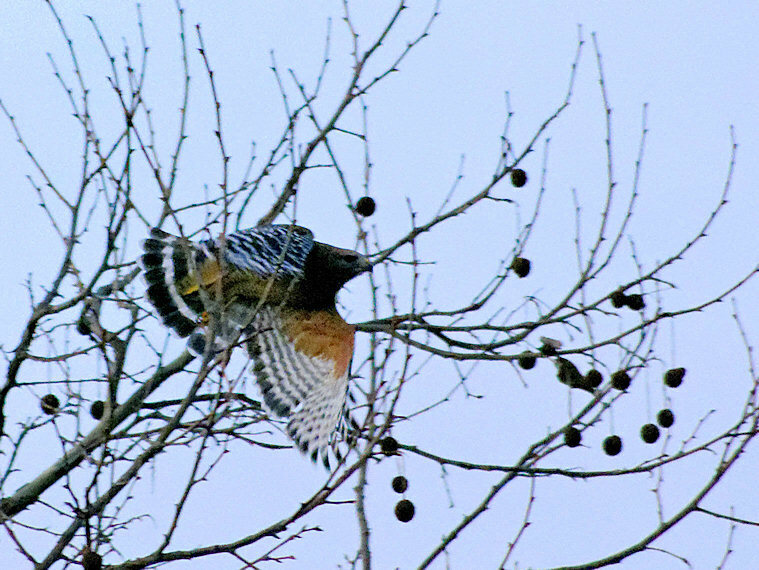 There was a Red-Shouldered Hawk! Let’s say you’re at work and listening to MP3s in your headphones. And someone comes up and needs to talk. You have to stop the music… and in the past I’ve found I’m always fumbling to open up the player GUI and hit Pause, and it takes several seconds, during which you’re not looking very professional. And if you use the taskbar icon to adjust the volume, it makes a loud blatt in your ear as soon as you let go of it. That’s not much good either.